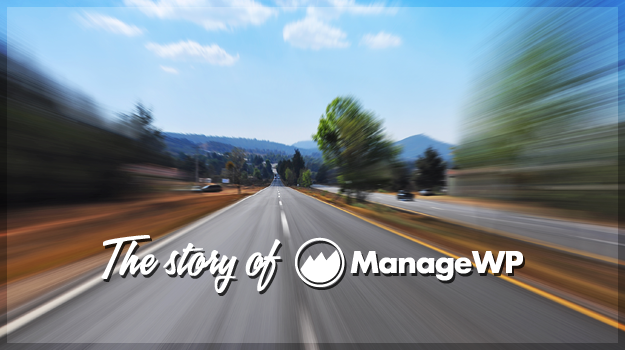 Welcome to Part II of the ManageWP story — a series of posts that will tell the ManageWP story from its humble beginnings right up to present day. In Part I I told my personal story right up to the point at which I decided to quit my lucrative job working for an Austrian gambling company. Whilst there were a lot of good (and sensible) reasons to stay in that job, I knew that I needed to prove myself as an entrepreneur. How I was going to do that exactly was open to debate, but I was determined nonetheless. As I mentioned at the end of Part I, my first decision was to create a blog and I decided that the WordPress platform was right for me. I soon recognized that certain elements of functionality I wanted for my blog were not currently available (either in the WordPress core or via plugin extensions). At the time the WordPress plugin community was burgeoning but still relatively young, so I jumped in at the deep end and started developing my own plugins. The plugins that I developed were all based around elements of functionality that I wanted for my own blog — it just so happened that other people wanted them too. It seemed like there was a nice alignment between my sense for what was useful to people and what people actually wanted. Those first plugins I developed (such as Smart YouTube) are still my most successful. Before long I had a selection of popular plugins hosted on WordPress.org and was an established WordPress plugin developer. I must have been doing something right, because in 2008, a publisher contacted me asking if I was interested in writing a book on WordPress plugin development. It is important to note that I hadn’t actually earned anything from my efforts at this point — all of my plugins were freely available on WordPress.org. With that in mind, writing the book represented not only an opportunity to further establish myself in the WordPress community, but it was also a way to make some money. Plus, who doesn’t want to be a published author? Furthermore, being approached was nice validation for all of my hard work to date. Although I had been giving away plugins, I was confident that I would benefit in the long run. The book was the first example of my expectations coming to fruition. I spent the whole of 2008 writing the book whilst earning money on the side by offering WordPress and SEO consulting services which were promoted via my blog. I also released another bunch of plugins during the writing process. When WordPress Plugin Development was published in February 2009 it was the first ever book on the topic of plugin development for the WordPress platform. It was well received and bolstered my reputation within the WordPress community. As a result of the book being published I was able to take on even more work, including some pretty serious clients such as Mashable and even the Italian government. At that point I was three years into my entrepreneurial journey and had come a long way already. However, I wasn’t content. I wanted to create a true business — not just a one man band, but a company of talented people working together to achieve a common goal. Bringing staff onboard was necessity anyway, as the projects I was taking on were getting bigger and bigger. So in 2010 I took on my first four staff and we were soon up and running with a turnkey WordPress website development service. I was happy with my progress so far. In three short years I had established myself as a WordPress developer and built up a small business. But I knew that web design wasn’t what I wanted to do. This is so inspiring Sir Vladimir. Thank you for sharing.